Arsenal have joined the likes of Barcelona and Everton in the hunt to sign Hirving Lozano from PSV. According to Mexican publication Publimetro, the Gunners are now in the hunt to sign the player who impressed at the World Cup in Russia. As well as having a standout season in the Eredivisie, Lozano will be remembered for an impressive performance against Germany. The winger scored the only goal of the game in what was an eye-catching performance. The report claims that claims that the Gunners are looking to strengthen in the final third and Lozano could be someone who fits the bill. ‘Chucky’ could be viewed as a long-term replacement for Alexis Sanchez, who left for Manchester United back in the January transfer window. The Gunners will face a fight to land the player, who is in demand. Barcelona have been heavily linked, but a move to the Nou Camp has been played down by the player’s representatives. 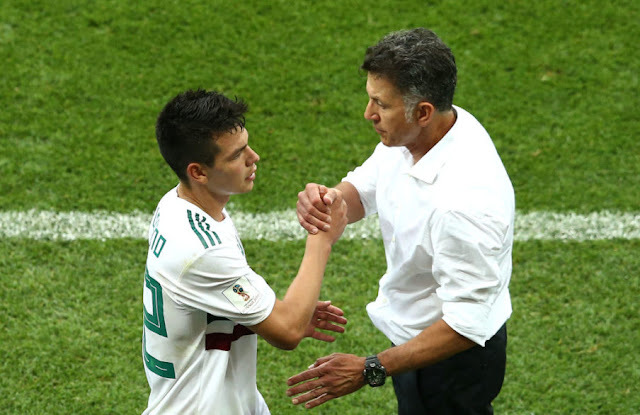 WOULD YOU LIKE TO SEE LOZANO AT ARSENAL?